Canon's EOS Rebel SL1/100D is for photographers who prefer a smaller, lightweight camera that still offers heavyweight features. This full-color guide explains how to get better photos from an SL1. 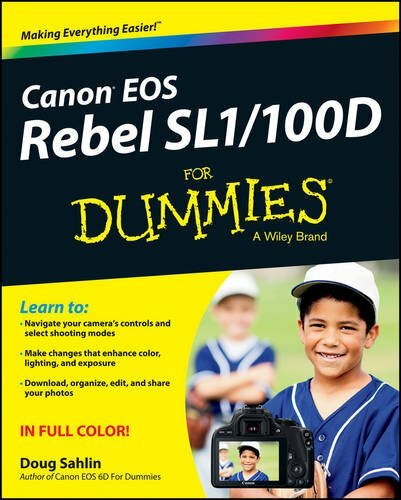 Written by professional photographer Doug Sahlin, this book explains the cameras controls and shooting modes. It also shows how to take creative control by moving out of auto mode. You'll also learn how to manage and edit your images, shoot video, use autofocus, and get troubleshooting advice.